Are you lucky enough to call Happy Valley, Oregon, home? Then you’re lucky enough to be able to call Meticulous Plumbing to your home whenever a plumbing snafu interrupts your happy, valley lifestyle. Happy Valley was incorporated in 1965, and it’s since become one of Oregon’s fastest-growing cities. In 1970, the population was just over 1,300 — but, fueled by tremendous growth, especially in recent years, the number of residents has now swelled to about 20,000. That’s a lot of growth (and a lot of new plumbing systems)! Meticulous Plumbing is here to provide affordable and expert plumbing services for our Happy Valley customers. Husband and wife Leo and Meg Borton own and operate Meticulous Plumbing, and Leo has more than three decades’ worth of plumbing experience. Our team of plumbers and our fleet of beautiful blue trucks are ready to serve you. We offer upfront pricing on all our plumbing services, and we’ll keep you up to speed on our work and any recommendations we may have for your plumbing system. In fact, Meticulous Plumbing will perform a complete inspection of your plumbing — at no cost or obligation to you! Here’s a summary of the general plumbing services we can offer our friends in Happy Valley. Contact Meticulous Plumbing for full details. Happy Valley is an awesome place to live, with great parks, winding trails and beautiful neighborhoods. 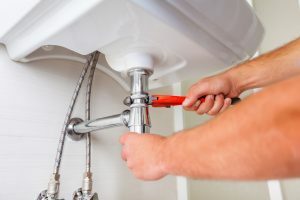 If you’re in Happy Valley, Oregon, and you’re in need of affordable plumbing services, call the best: Meticulous Plumbing. You’ll be pleased with our service and dazzled by our expertise. If you have questions regarding plumbing services in Happy Valley, Oregon, give us a call. We look forward to serving you.